As a family our lives are busy. Filled with school, homework and everyday family life. The weekends, however, are for living so we try to make the most of them and head off on adventures whenever we get the opportunity. As we’d had a couple of years without needing to carry a pushchair in the car and everything else that goes with having a little one in tow. We had managed to simply hop in the car without thinking and head off out and about. 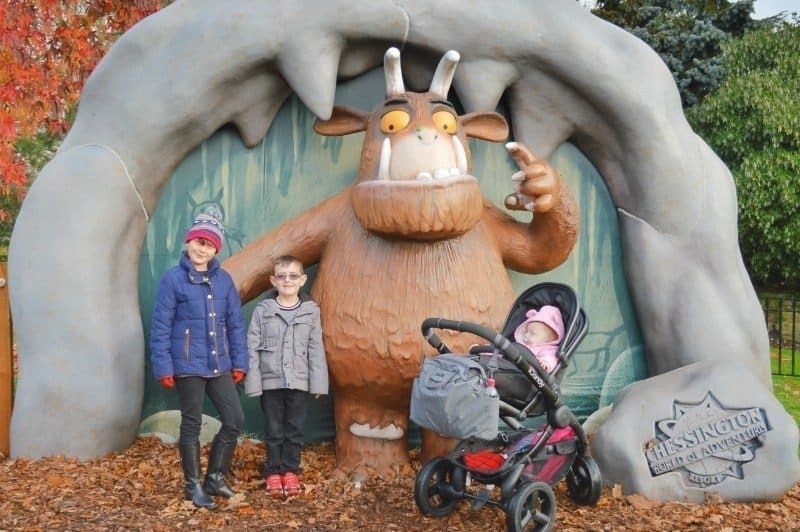 Taking a Winter’s Tail trip to Chessington to visit Father Christmas in his woodland grotto. With the trail through the woodland covered in bark chippings, many parents opted to leave their pushchairs at the start of the trail and carry their little one. 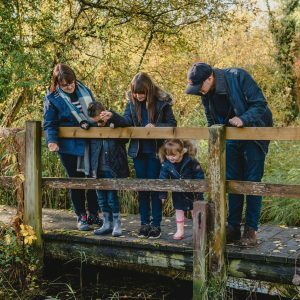 We didn’t have this worry as the Peach all-terrain took the pathway in its stride and made it safe and sound to visit Father Christmas. With a high seating point, it means that Piglet is able to view more of the world around her. 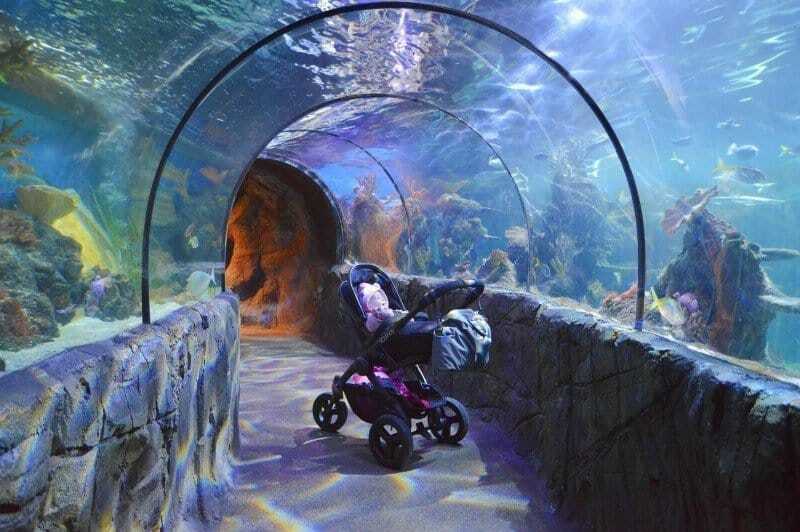 And what better way to see all the creatures under the sea than by viewing them in the glass tunnel at the SEALIFE Centre. Probably one of the things we do the most is to go for walks in the woods and forests close to us. Whether we are blowing the cobwebs away after sitting indoors for too long. 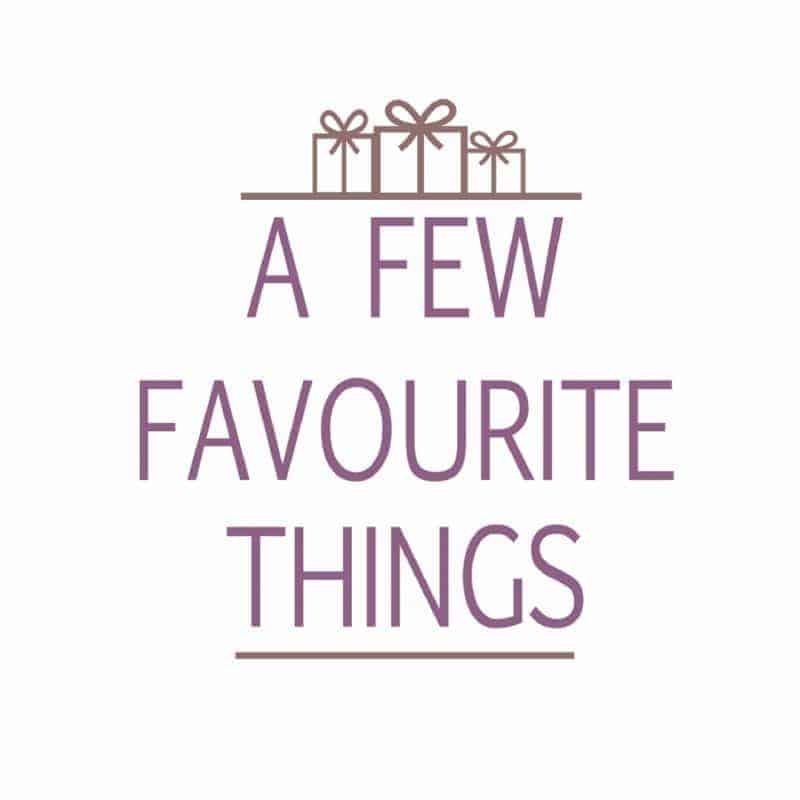 Or tracking down The Stick Man or a Gruffalo, we like to be able to get up close to the world around us. 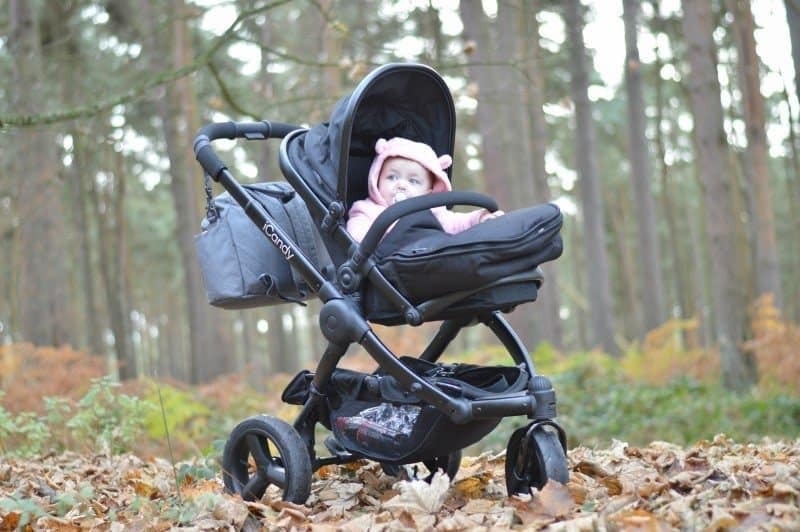 The air-filled tyres on the iCandy Peach All Terrain making the journey more comfortable for Piglet. As well as making pushing the pushchair across tree roots and leaves easy and needing a lot less effort than I imagined. When Tigger was born, the first school run I had to complete on my own it snowed. Pushing his pushchair through the sludge was difficult (especially when recovering from a c-section). As the snow fell last week I was excited to get outdoors and complete the school run. Knowing that the Peach all-terrain would manage the slippery paths and cut through the snow laden upon the floor. The large wheels and tread on the tyres are a great combination for the winter weather. Now if we could only get some more snow that would be fantastic! 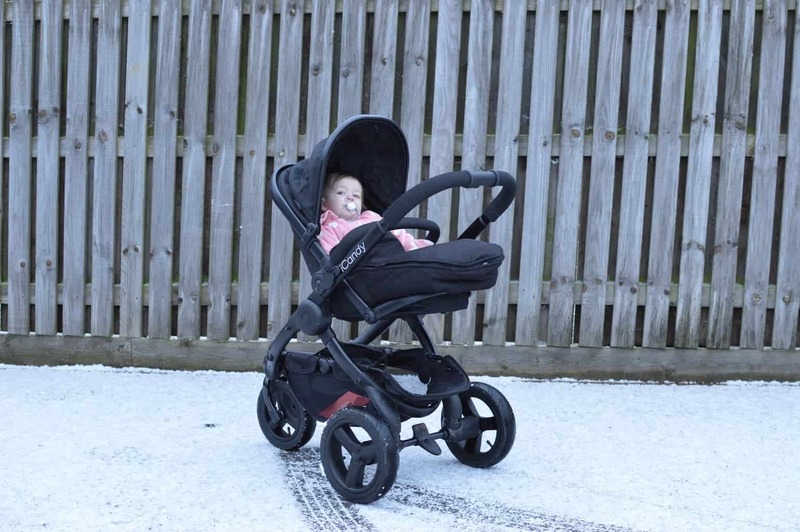 The iCandy Peach All Terrain pushchair is available direct from iCandy and all other leading baby retailers. 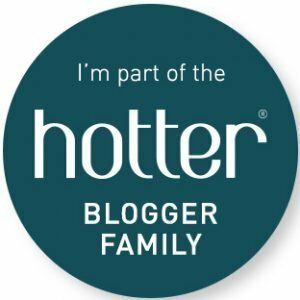 Disclosure: We received an iCandy Peach All-Terrain FOC for the purpose of review, however, I was not asked to write this post – just sharing our adventures out and about with the pushchair. I love icandy prams. We had the icandy peach blossom when the boys were small. Such a lovely pram to push around.